For quite a while now Italian indie label Cruz Del Sur has been engaged in nothing short of piracy. With their ear and knack to pluck up talent of many different genres of metal they were coming to these shores picking away the best North American power metal has to offer. And when I say North American, Antiquus is the proof that Canada has not been immune to pillaging either. Yet, we all should be thankful that someone does it, otherwise how would we get a chance to experience some quality power metal? So, when the next time someone tells you the genre is degenerating in Europe, you can point out to what Cruz Del Sur has been able to do on the other side of the Atlantic with Slough Feg, Pharaoh and now Antiquus. My first impression listening to Eleutheria, the second album from this Vancouver band, has been both right and wrong. The undeniable heavy masculine delivery and epic nature of the material jumps out at you from the opening chords of O Captain, My Captain. At the same time, swept up in powerful euphoria, I thought Antiquus to be less technical relying more on the manly meaty chords to form melodically engaging processions, as evidenced in O Captain, My Captain and Leaves of Grass. Multiple spin-throughs confirmed, however, that Antiquus is no less progressive with their guitar histrionics than, let’s say, Jag Panzer, the band I was reminded of on several occasions while listening to Eleutheria. I Am Alive definitely showcases Antiquus’ ability to run scales, harmonize and fill their guitar saturated music. The title track merges together the heavy bottom end and subtle Greek melody. The rhythm section of Scott Unger (bass) and Andrew Bak (drums) can be as steady as they come setting the stage for a double bass chorus on Redemption, or be syncopated on title track and bass-snappy on Mechanismo. My Jag Panzer comparisons have been further reinforced when listening to the band’s vocalist Jesse White. If situation arises that Harry Conklin needs a stand-in, Jesse will fill in perfectly, his powerful flowing voice traveling both low and high register (the latter is where he especially reminds me of Tyrant), coloring Eleutheria songs with multiple emotions. His falsetto choices at the end of I Am Alive I could do without, however. Judging from the nature of lyrics I was able to make out sans the booklet, Eleutheria is a concept story, touching upon mutinous crew, otherworldly travel and philosophical issues (or so I think). Constrained by the fact it is a full-fledged story, Eleutheria has some marathon songs, Leaves of Grass, preacher-like narrations on I Am Alive reminding of Evergrey and a couple of electroacoustic tracks, instrumental Meta Incognita and balladic KT Event, both very thoughtful and perfectly woven in. 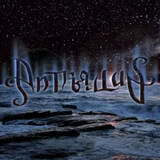 Long progressive solo-laden songs are not the easiest to get into, but Antiquus needs them to tell the story. Most importantly, just like labelmates Slough Feg and legendary Manilla Road (another worthy reference point), Antiquus manages to sound genuinely epic, without the use of a hired gun orchestra. These Canucks retain an undeniable archaic quality, which makes Eleutheria sound incredibly authentic. The album is building up, songs adding on, track by track, brick by brick, Eleutheria reaching the pinnacle with the triad of Meta Incognita, Redemption and I Am Alive. Progressive, heavy, epic and melodic – if you like Manilla Road or Jag Panzer circa Mechanized Warfare, check Antiquus out.